I did a little online investigating and found a facebook page that gave me some idea of their adventure (synonymous with *ordeal* in my mind). 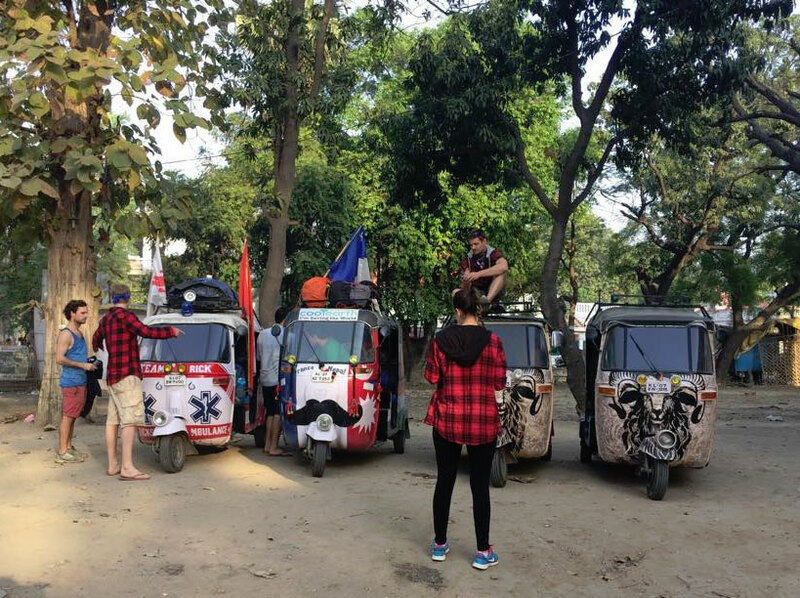 So it turns out that these guys Chris Jeffares, Leigh Cornwall, Ben Hart and Alice Bott travelled to India to take part in a fund-raising event known as "The Rickshaw Run". 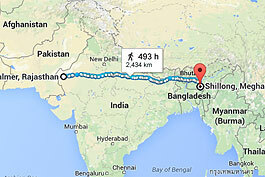 This journey of over 3,000km from Jaisalmer, Rajasthan (West India) to the finish Line in Shillong, Meghalaya (Eastern India) would be difficult by most means of transport, however they undertook to complete it in what they termed "A 7 horsepower glorified lawnmower - also known as - A Rickshaw". I am assuming that a rickshaw is not made by Audi, lacks certain safety features such as drivers side airbags, ABS and bluetooth connectivity and does not have a "comfort mode" adjustable suspension setting. I also assume that 12 hours contending with traffic, breakdowns and comfort issues would provide the backdrop for an incredible *adventure* (see first reference). I won't tell you all the details because you should watch their video here and visit their facebook page.. So to these adventurous travellers we offer our sincere and heartfelt thanks and respect for undertaking such an epic journey, enduring so much, and doing it all in the name of Charity.